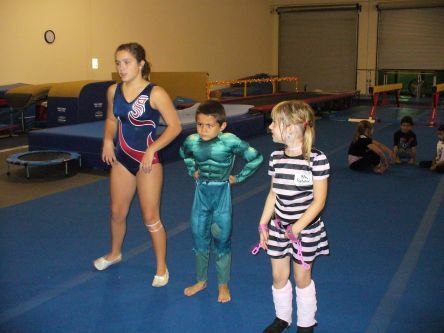 Welcome to Flips Gymnastics! Here is a list of our very customer-friendly gym policies. The following information will help answer any questions that you may have regarding our adinistrative policies. We hope you will see why you will "FLIP for Flips"! Registration Fee- There is a $48.00, due once a year, registration fee due upon signing. This fee is necessary for secondary insurance purposes. Registration forms and consent/release waivers must also be filled out completely and signed by the parent or guardian before participation. Checks should be made payable to Flips Gymnastics. We also accept cash and credit card. Class size- Class size is important to us at Flips. 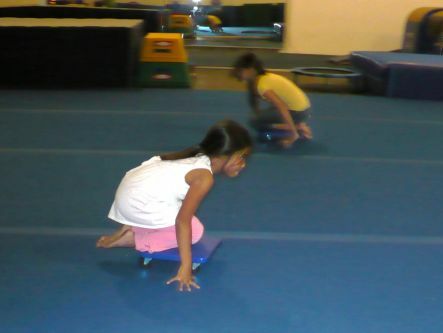 We offer you a low class ratio of 10:1 for all recreation classes, and 8:1 for Kindergym and Tiny Tot classes. However, in order to help us regulate our class sizes, please notify Flips in advance if you are going to drop your class either temporarily or permanently. Payments- Payments are due by the 1st week of each 4-week session. If you make your payment early before the next session begins, you will receive $10.00 off on lessons for the following session. We also have a 3rd week Priority Registration policy for our existing customers, that if your child's class is full (closed) and you want to save their spot in a popular class, you must register your child by the end of Week #3. No new customers can register for a class that is full (closed) up to Week #3. Week #4 is "open enrollment" for all students, and anyone can sign up in a class that is not closed. If your payment is not received by Week #1 of each session, your child will be dropped from the class until lessons are paid. If you are having problems making your payment, please contact the office! Make-up Policy- Make-ups are allowed in any "open" class, except Level 1 and 2. We have Level 1 and Level 2 make-up classes available, see current schedule in the classes tab. Make-up classes need to be scheduled at the gym office, and must be completed before the end of the session, in which the absence occurred, or the class is forfeited. Make-ups can also be scheduled ahead of time for a planned absence. Credit for classes missed will only be given for an extended absence due to injury or illness, followed with a doctor's note. If for any reason the class instructor is absent and a substitute can't be found, the students will be contacted to schedule a make-up class, and the make-up policy will apply. Please call our office at (909)456-6321 to make an appointment for a make-up. 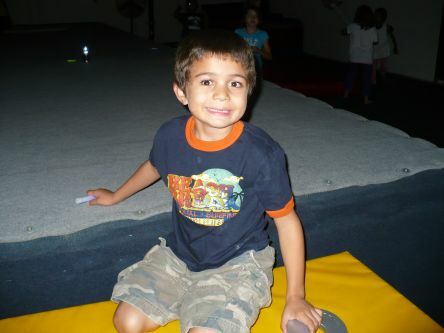 Extended Absense- If you know in advance that your child will be having an extended absense (2 weeks or more) from class, you are still welcome to to enroll your child in class and Flips will "pro-rate" the session's payment. If money for the session has already been paid, and something happens that you will have to take your child out of class for an extended period of time, Flips will credit your child's account, for the classes missed, to the next session. Gym Closures and Holiday Policy- Flips will be closed only on and around these major holidays: the last 2 weeks at Christmas time through New Years, the entire week of Thanksgiving, Halloween, and the 4th of July. The days that the gym will be taking off will be posted up on the main gym Calendar and flyers will be handed out to the students. Your student's 4-week lesson payment will not include these holidays, and make-ups will not be necessary. The gym will also take a week off when the Flips competitive teams go to their National competition, in the summer. You can always call the gym at (909)456-6321 to confirm the major and minor holiday gym closures. Early Payment Discount- If you register your student early, by the end of Week #4, you will receive a $10.00 discount on lessons paid per child for the following session. 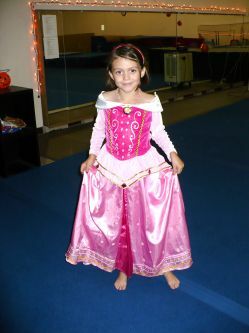 Family Discount- You will receive $10.00 off for each additional child (after the first child) for every 4-week session. "Bring a Friend" Discount- If you bring in a friend to Flips who registers, your friend will receive a $10.00 discount on lessons upon registration, and you will also receive a $10.00 discount off your next session! Pro Rate- Flips will "pro-rate" the cost of the lessons for any week within each session. This will enable students to register on any day within the session. 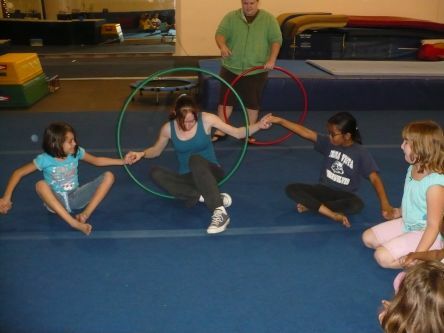 Private lessons- are offered at Flips through each coach separately. Times, days, and payments can be scheduled at the coach's convenience and availabilty. Students taking private lessons must be a registered student at Flips! Payments are due at the office on the day of the lesson, before the lesson begins. If you have to cancel your lesson, please call the office at 909-456-6321 least 1 day in advance. Testing- Testing for our regular classes occurs every 4 months, or 3 times per year. Your child will receive a "report card" with notes on how they are doing, and what skills they might improve upon. If your child has passed the level that he/she is working on, he/she will receive a Certificate of Promotion to the next level. Returned Checks- There will be a $35.00 fee charged for any check that is returned to Flips from the bank. This fee is to be paid back to Flips, in cash. If you know in advance that there will be a problem with "insufficient funds" in your account, please make an arrangement with us to "post-date" your check. Food- There is NO food or drink (especially gum) allowed within the working gym area. Your coach will always provide a "water break" time within each lesson. Food is allowed in the Parent Viewing area, however, trash must be picked up and thrown away. Please help us to keep our gym clean! Please Watch your Child- Our parents are always allowed to come and watch your child's class, however, siblings that come must be supervised in the parent viewing areas at all times by their parents. Flips also provides a toy area in the main lobby. Please help to keep our parent viewing areas clean and toys picked up after your child's class is over! Thinking about having a birthday party, and want to have a new idea? Come to Flips and have your party here! 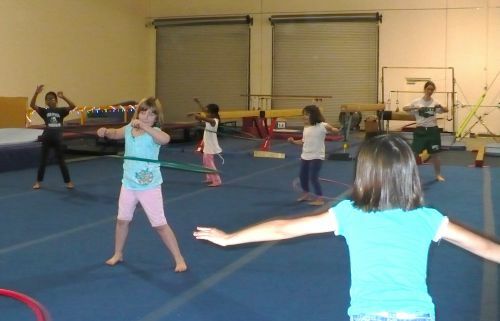 Yes- you can spend 2 hours of gymnastics FUN right here at Flips, and leave all the mess with us! We have a large party area able to accomodate 5 long tables and many chairs. There's also plenty of shelf space for the gifts, food, and cake. And a large gym to bounce, play games, and have some free time! We provide: 2 coaches, 1 hour of fun time, and 1 hour for the party. Deposits are to hold a date & time on our calendar. 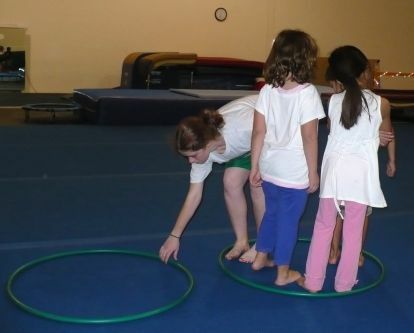 What Flips provides: We will provide the gymnastics instructors, party goods in (2) basic colors of blue, red, green, yellow, green, pink, or purple- which includes the tablecloth, plates, napkins, cups, utensils, and balloons, and FUN! What we don't provide: "Theme" party goods, food, cake, music or drinks. The customer will provide their own. 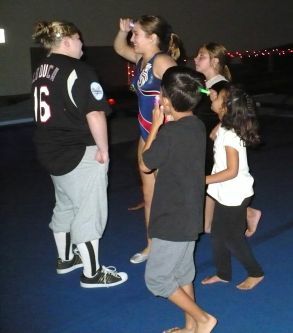 Flips Gymnastics offers an occassional "Parent Night Out" fun night for our students, siblings and friends. This is a supervised event where children can come for 3 hours and have fun, play games, eat pizza, and have some free playtime in the gym. This is a great opportunity for parents to leave their children in our capable "hands", and go out on a date! 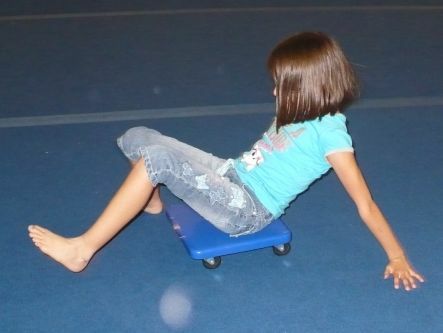 All children who are not a student at Flips MUST have a waiver signed by parent before they may enter gym floor. Contact: Flips office at (909)456-6321, or email fjmarcucci@aol.com to see when the next Parent's Night Out is happening!